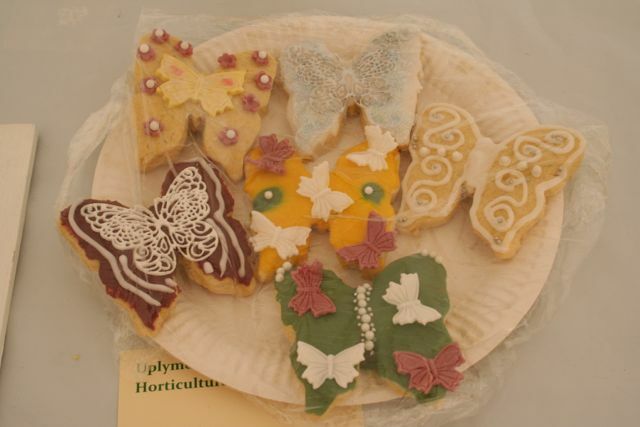 The tradition begun in 1929 continued, this year celebrating the role of butterflies in our gardens. 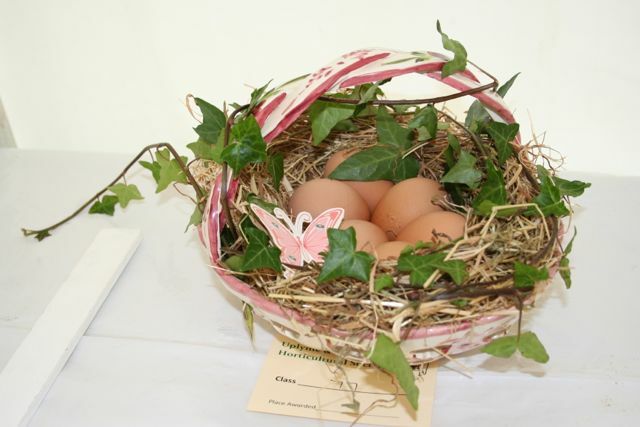 There were beautifully staged exhibits in the marquee with more new classes to enter. 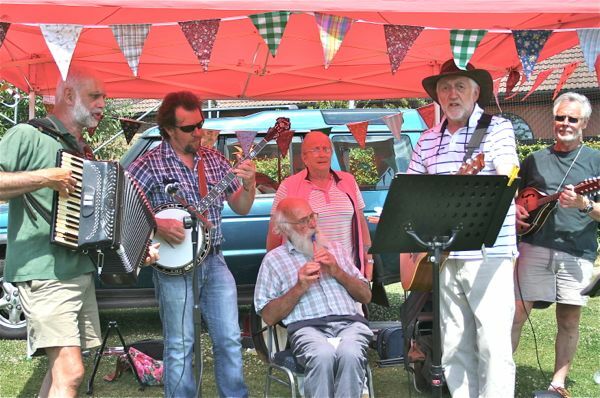 Live music and entertainment, good food and refreshments continued all afternoon. 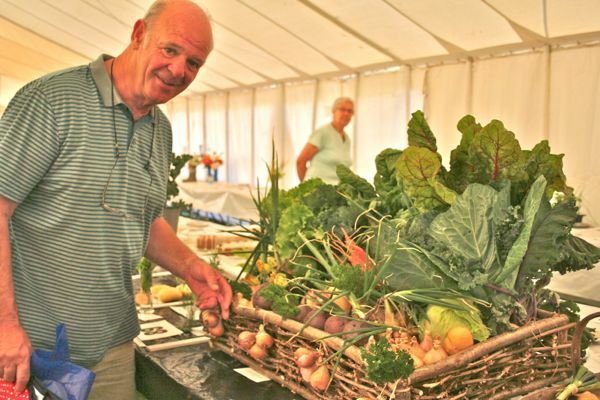 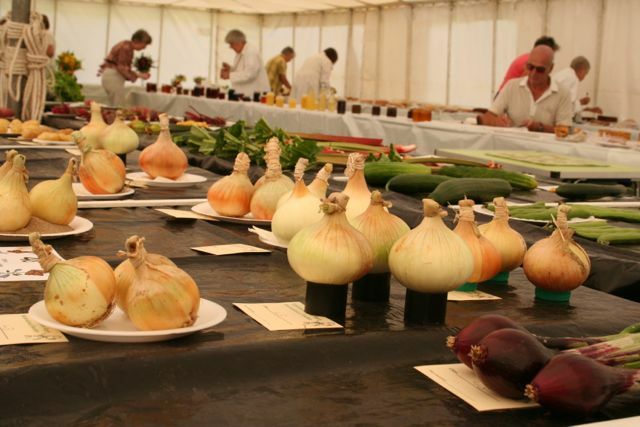 The show’s top prize, the RHS Banksian Medal, was won by Bill Howarth, having most points for his fruit and vegetable entries. 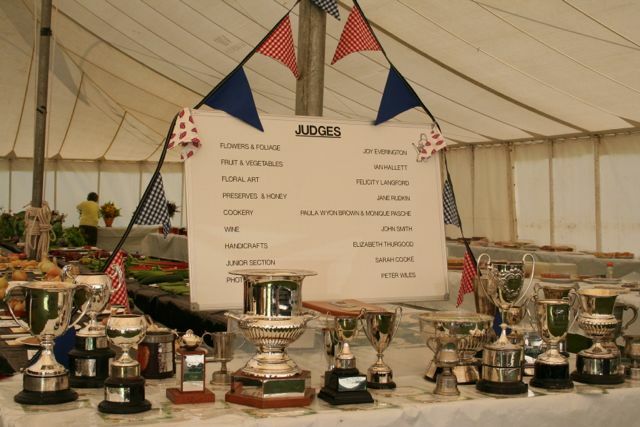 In the category judged to be the BEST EXHIBIT: The Seamark Cup for flowers and foliage went to Bill Howarth; WCG Diploma for best flowering plant to Valerie Maddison; the J&FJ Baker Cup for fruit/vegetables to Pat Wilton; McLeod Innes Cup for specimen rose to Tony Cook; Thompson Tankard for wine to Rob Harvey; Cakemaker’s Cup for set recipe cake to Leslie Bridge; Diamond Jubilee Cup for crafts to Nicole May; Llewellyn White Shield for novice floral to Ruth Howarth; Diana Bridges Cup for floral exhibit to Neil Croton; White & Stevens Cup for junior flower arrangement to Keir Tweedale; Junior Photo Cup to Maisie Wiscombe; Leslie Brotherick Cup for photography to Brian Thomsett; and the Tony Cook Tankard for sweet peas to Ashley Ball. 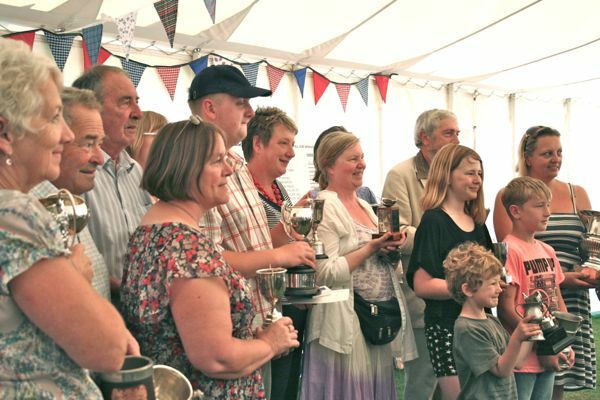 In the category for those winning the MOST POINTS: Woodroffe Challenge Cup for flowers/foliage to Bill Howarth; Williams Challenge Cup for fruit/vegetables to Bill Howarth; Wine Cup to Rob Harvey; Morrish Challenge Cup for home produce to Alison Bright; Cartwright Challenge Cup for crafts to Anita Routley; Mrs Reg Woodroffe Challenge Cup for floral exhibit to Neil Croton; Wilson Cup for junior classes (under 7 years) to Adam Beddows and Keir Tweedale; Shilton Cup for photography to Jim Moseley; Mary Frings Challenge Cup for preserves to Henriette Wood; Lindsey Jenkin-Carter Cup for junior classes (8-14 years) to Sofia Williams. 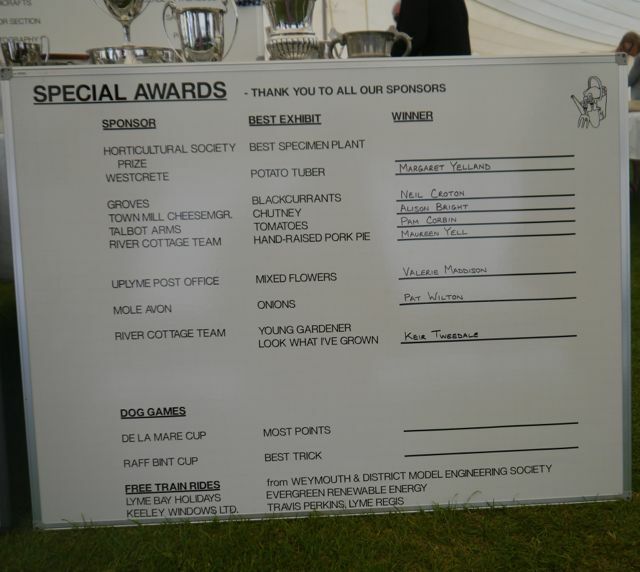 In the SPECIAL AWARDS category: Horticultural Society Prize for best specimen plant to Brian Cursley; Westcrete Prize for potato tuber to Margaret Yelland; Groves Prize for blackcurrants to Neil Croton; Town Mill Cheesemonger Prize for chutney to Alison Bright; Talbot Arms Prize for tomatoes to Pam Corbin; River Cottage Prize for a hand-raised pork pie to Maureen Yell; Uplyme Post Office Prize for mixed flowers to Valerie Maddison; Mole Avon Prize for onions to Pat Wilton; River Cottage Prize for young gardener Look What I’ve Grown to Keir Tweedale; De La Mare Cup for most points in the dog show to Eileen Nightingale; Raff Bint Cup for best trick in the dog show to Allan Emett. 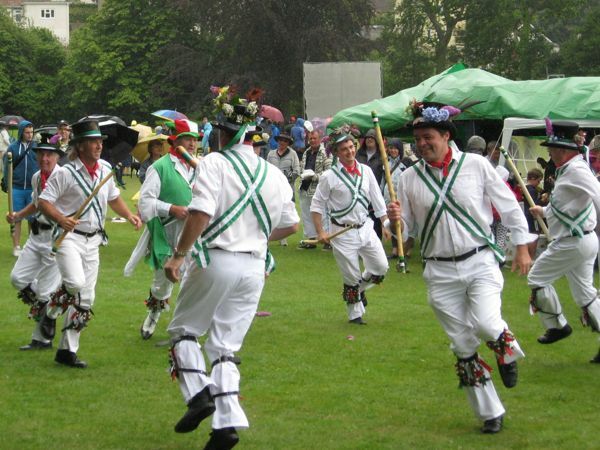 On the field there were live chickens – Jack’s Zoo – Fun dog show and dog scurry – Shetland pony – Firestone Appalachian Dancers – Black Velvet Band – Uplyme Morris Men – Free steam train rides from Weymouth & District Model Engineering Society – Dorset Butterfly Conservation – East Devon Beekeepers – Patchwork and quilting display – Blackdown Hills Hedge Association – Hurdle-making display – Bouncy Castle – Dorset Wildlife Trust – Axe Valley Conservation – Local product and craft stalls – Yarn spinning demonstrations – Willow work demonstration – Coconut Shy, food tombola, games and sideshows – and Pam Corbin and her team served delicious cream teas and light refreshments in the Village Hall. 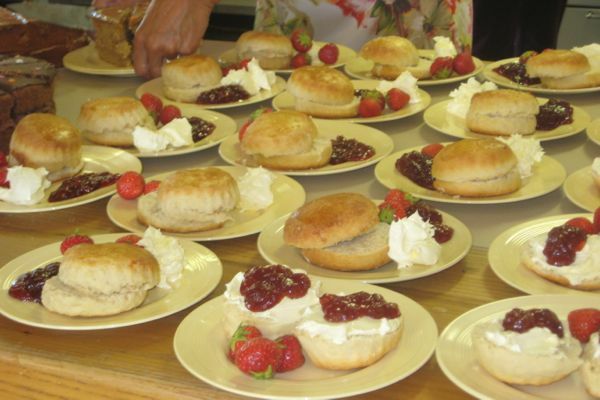 A portion of this year’s profits go to Fortuneswell Cancer Trust Dorchester. 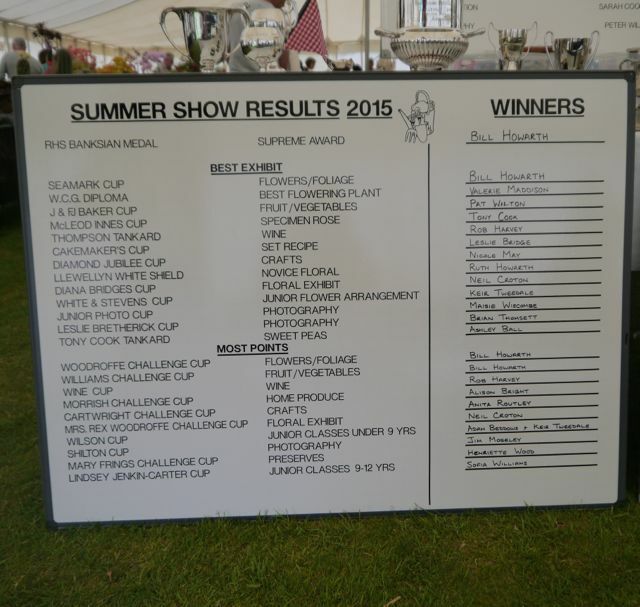 Download the 2015 SUMMER SHOW SCHEDULE here. 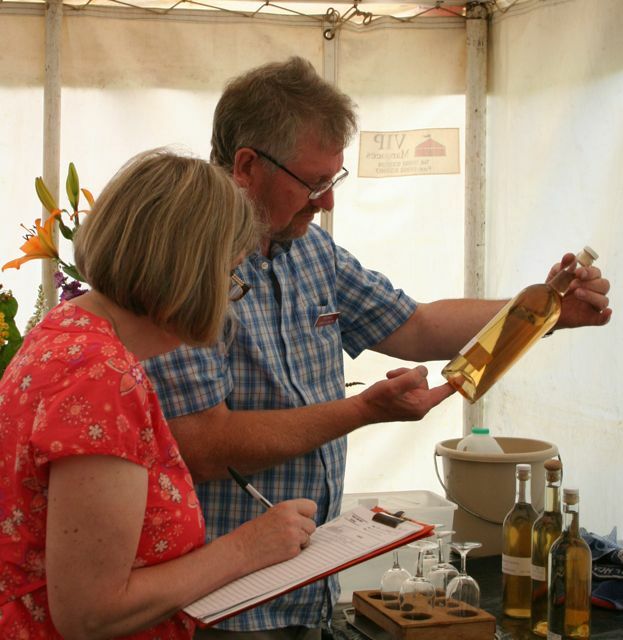 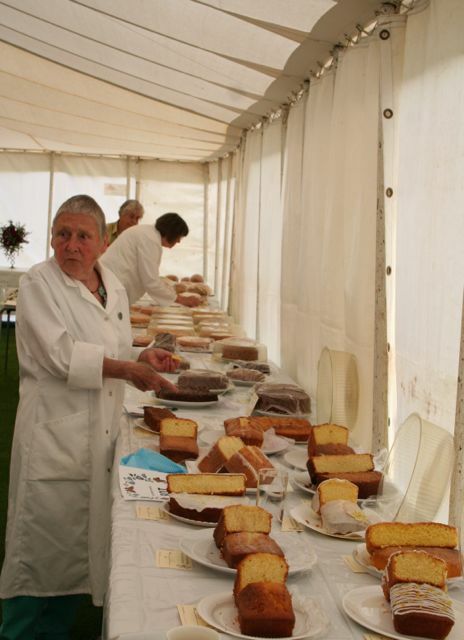 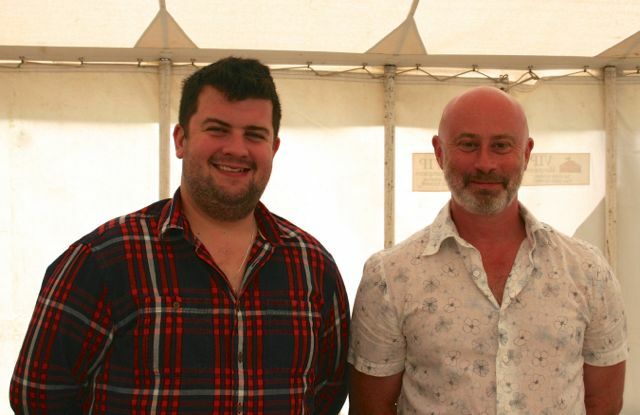 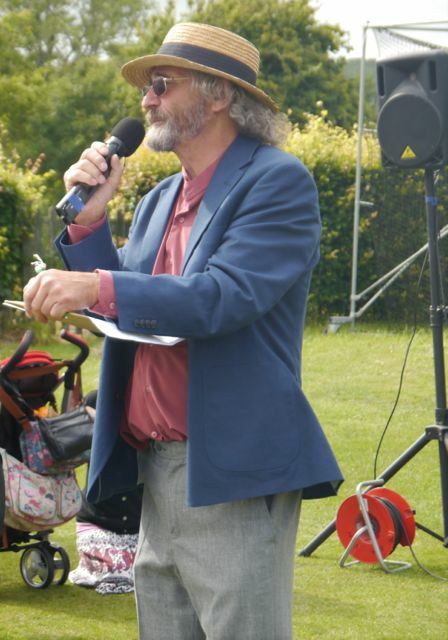 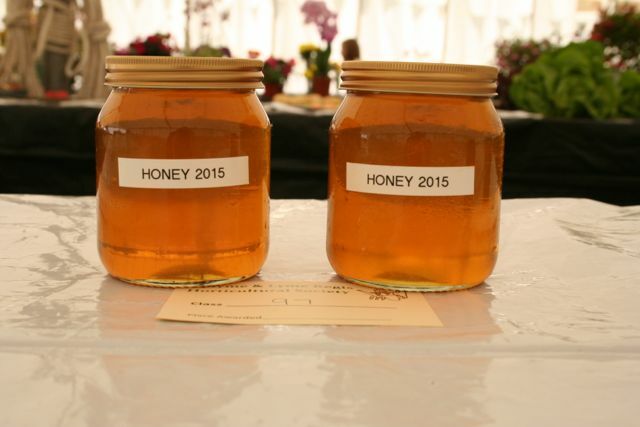 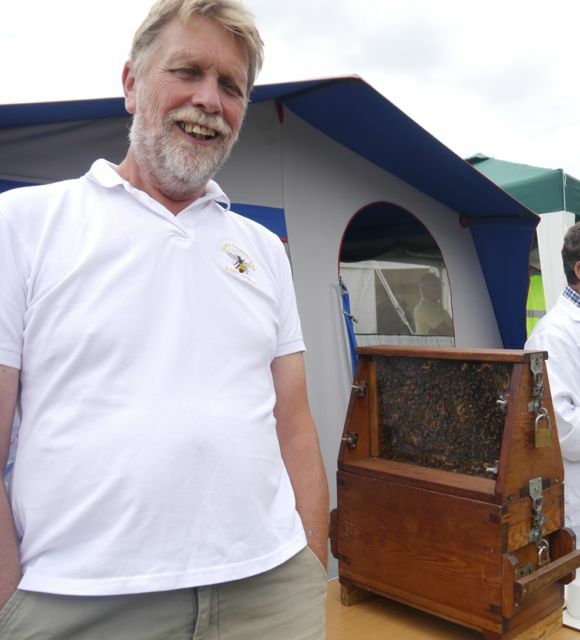 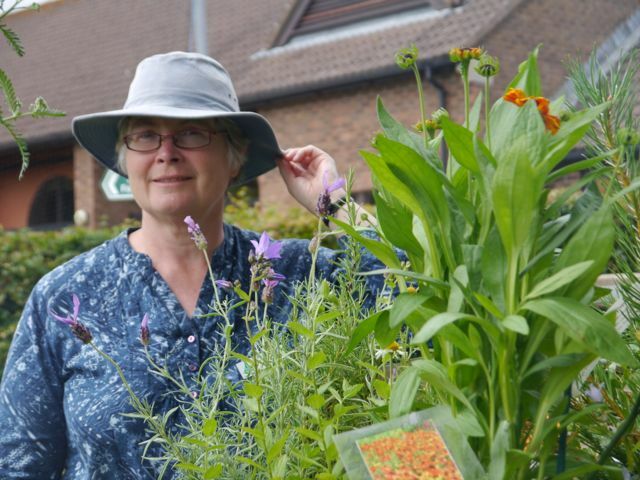 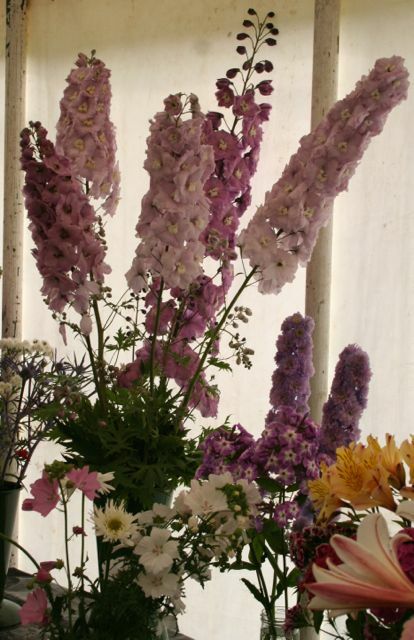 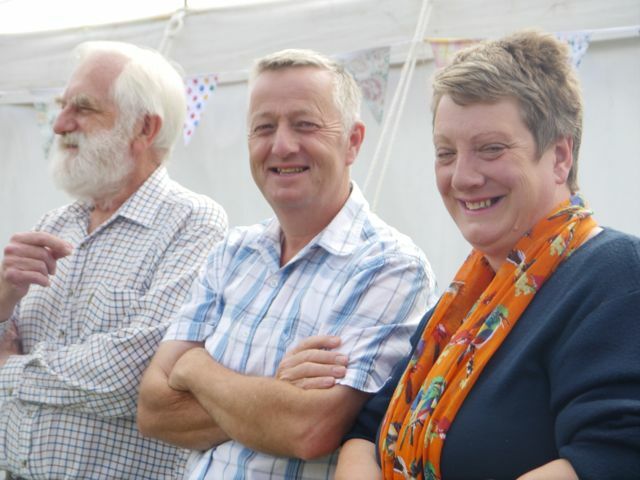 Last year’s Summer Show and Country Fayre was held on Saturday July 12 celebrating the important role of the bee as a major pollinator in our gardens, farmland and hedgerows. 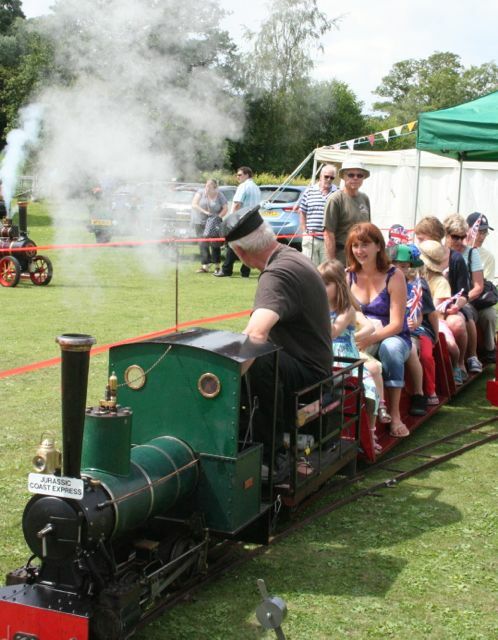 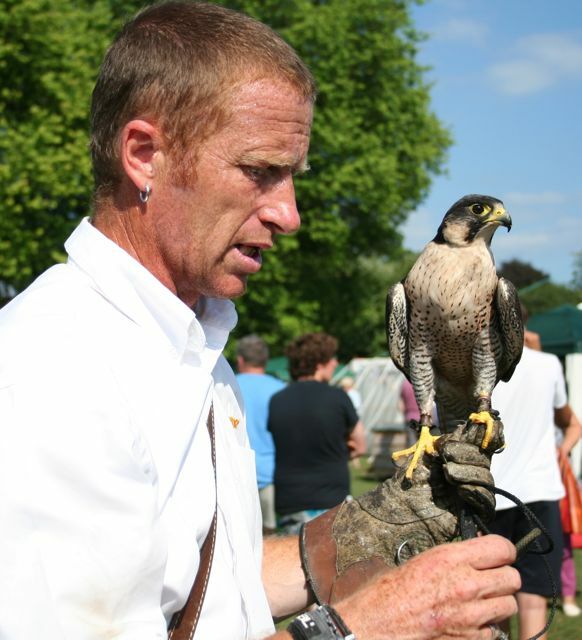 Almost 800 visitors came to Uplyme playing field and village hall for the event. 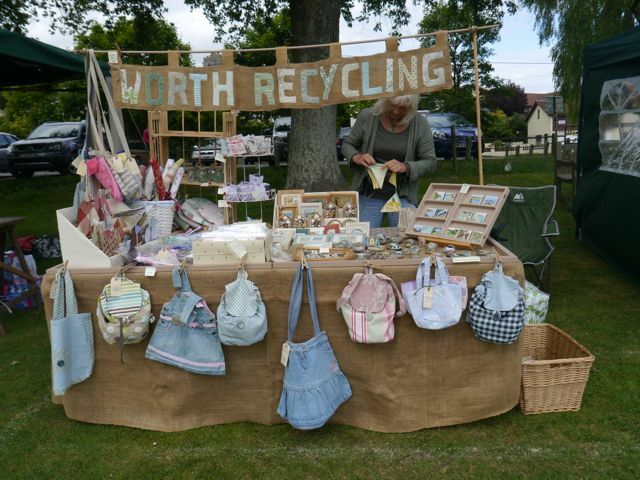 Half the day’s profits will be donated to Mrs Ethelston’s Church of England Primary School new building fund. 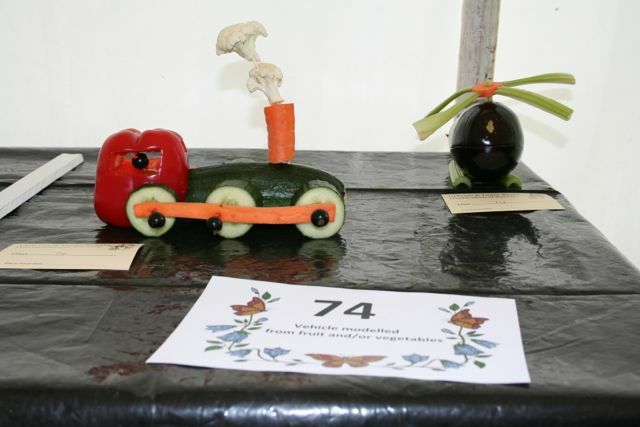 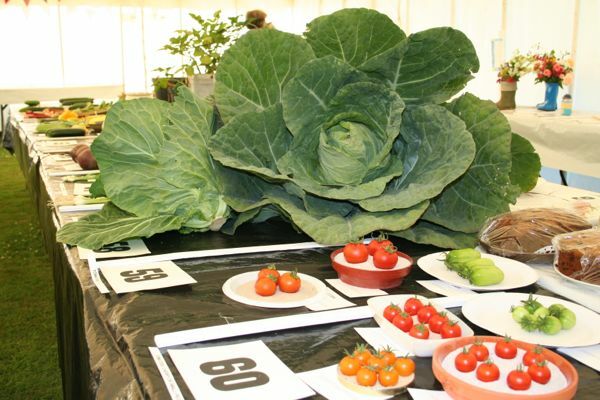 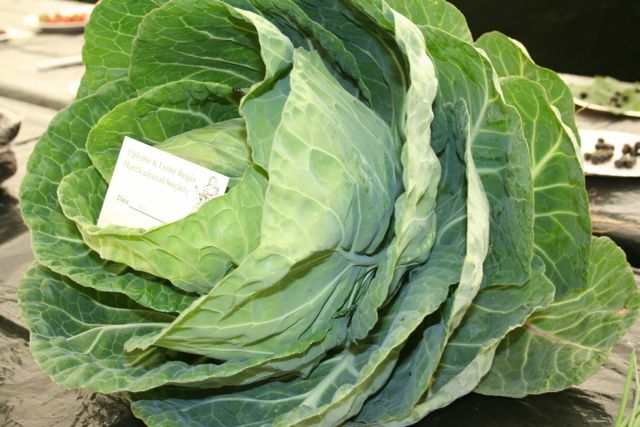 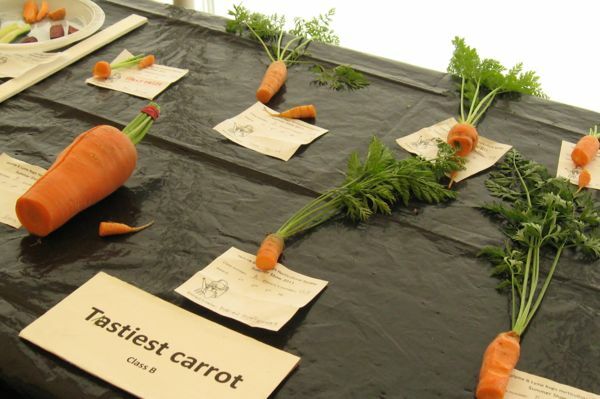 The show’s top prize, the RHS Banksian Medal, was won by Roy Keeley, having most points for his fruit and vegetable entries. 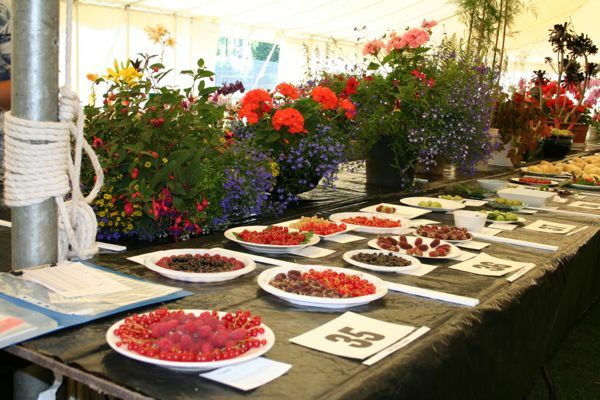 In the category judged to be the BEST EXHIBIT: The Seamark Cup for flowers and foliage went to Neil Croton; WCG Diploma for best flowering plant to John Williams; the J&FJ Baker Cup for fruit/vegetables to Roy Keeley; McLeod Innes Cup for specimen rose to Tony Cook; Thompson Tankard for wine to Henriette Wood; Cakemaker’s Cup for set recipe cake to Pat Chambers; Diamond Jubilee Cup for crafts to Colin Osborne; Llewellyn White Shield for novice floral to Pat Chambers; Diana Bridges Cup for floral exhibit to Sarah Causley; White & Stevens Cup for junior flower arrangement to Simon Law; Junior Photo Cup to Charlotte Tweedale; Leslie Brotherick Cup for photography to Penny Duffield; and the Tony Cook Tankard for sweet peas to Tony Cook. 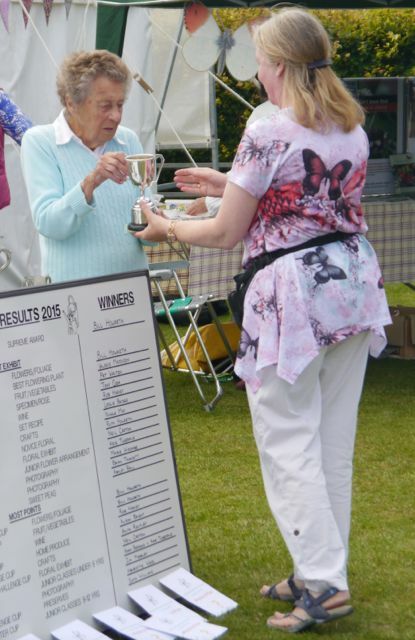 In the category for those winning the MOST POINTS: Woodroffe Challenge Cup for flowers/foliage to Jane Garland; Williams Challenge Cup for fruit/vegetables to Roy Keeley; Wine Cup to John Wood; Morrish Challenge Cup for home produce to Henriette Wood; Cartwright Challenge Cup for crafts to Carol Stickler; Mrs Reg Woodroffe Challenge Cup for floral exhibit to Neil Croton; Wilson Cup for junior classes (under 7 years) to Sophia Williams, Isabel Wiscombe and Simon Law; Shilton Cup for photography to Penny Duffield; Mary Frings Challenge Cup for preserves to Henriette Wood; Lindsey Jenkin-Carter Cup for junior classes (8-14 years) to Charlotte Tweedale. 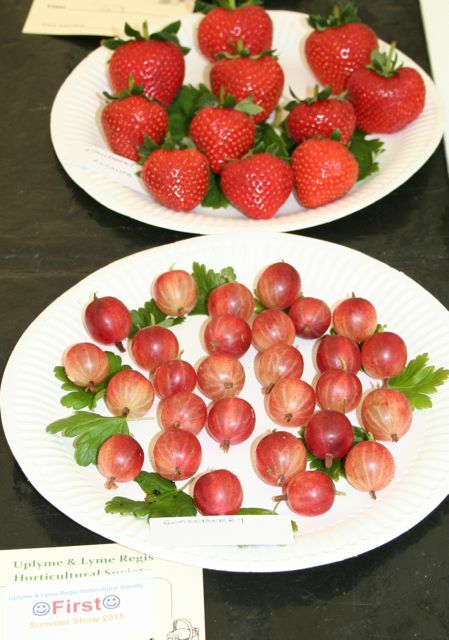 In the SPECIAL AWARDS category: Uplyme & Lyme Regis Horticultural Society Prize for best specimen plant in class 36 to Brian Cursley; Westcrete Prize for potato tuber to Margaret Yelland; Lyme Bay Winery Prize for liqueur to Henriette Wood; Groves Prize for blackcurrants to John Garland; Town Mill Cheesemonger Prize for chutney to Jane Garland; Talbot Arms Prize for tomatoes to Roy Keeley; River Cottage Prize for Three Good Things on a Plate to Henriette Wood; Uplyme Post Office Prize for mixed flowers to Roy Keeley; Mole Avon Prize for onions to Roy Keeley; River Cottage Prize for young gardener to Henry Birchall for vegetables and Charlotte Tweedale for flowers; De La Mare Cup for most points in the dog show to Stuart Fowler with Teddy; Raff Bint Cup for best trick to Carol-Ann Sumerdon with Tamber; Pug & Puffin Prize for the dog scurry winner to Alan Emmett with Moss. 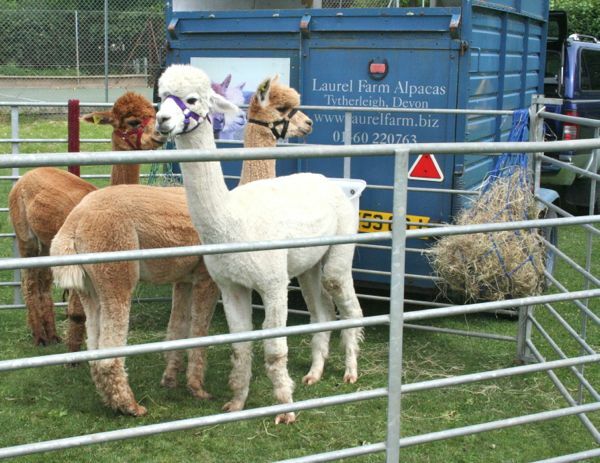 On show day, there were visiting alpacas and ferrets (with ferret racing for those who fancied a flutter), and a hive of bees. 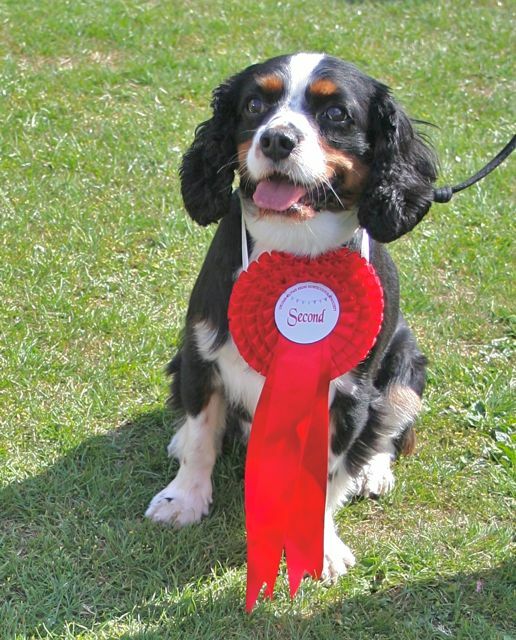 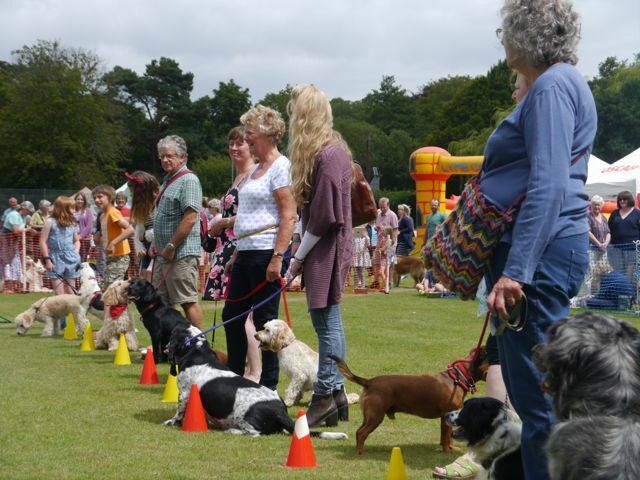 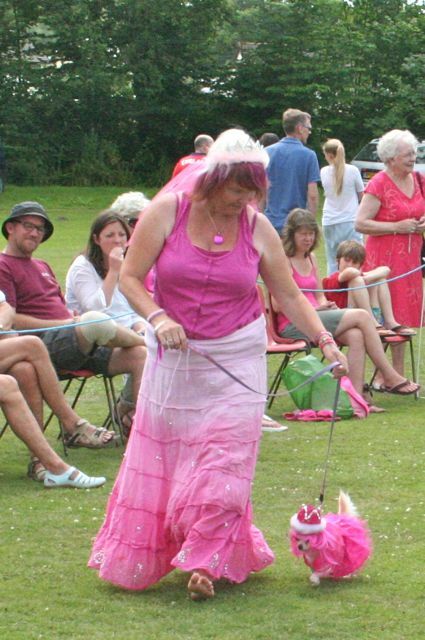 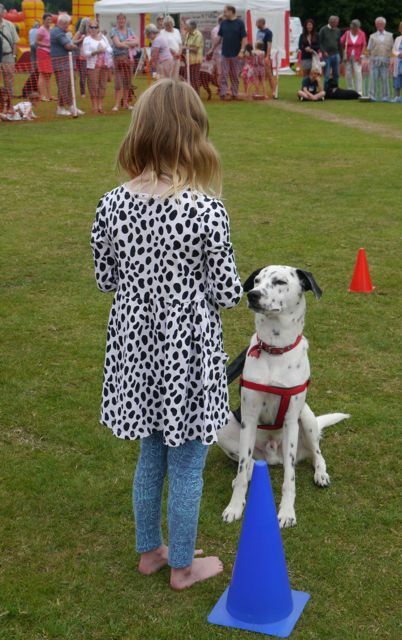 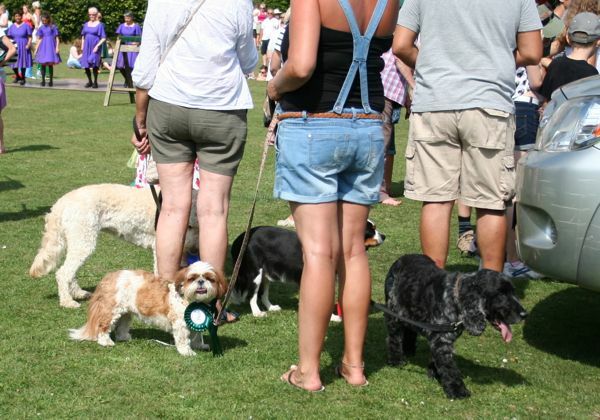 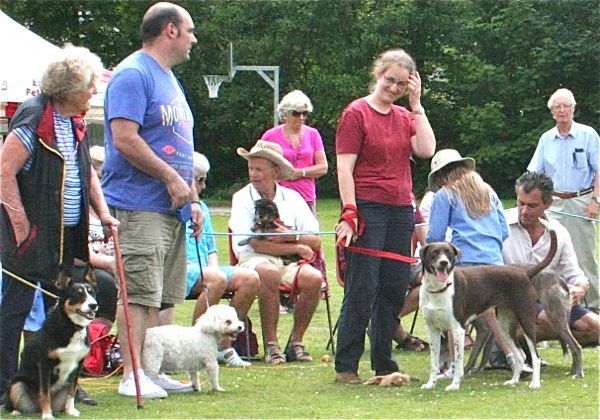 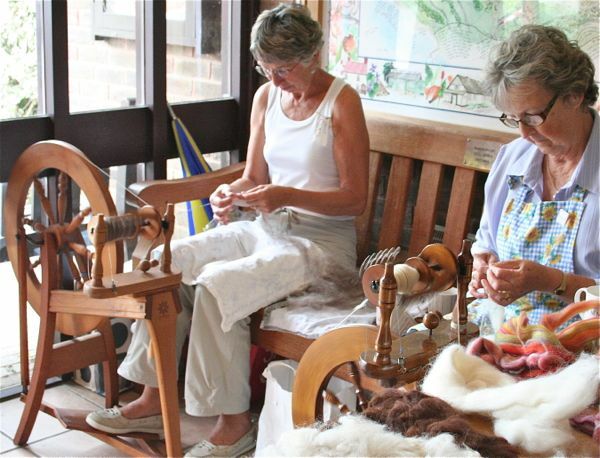 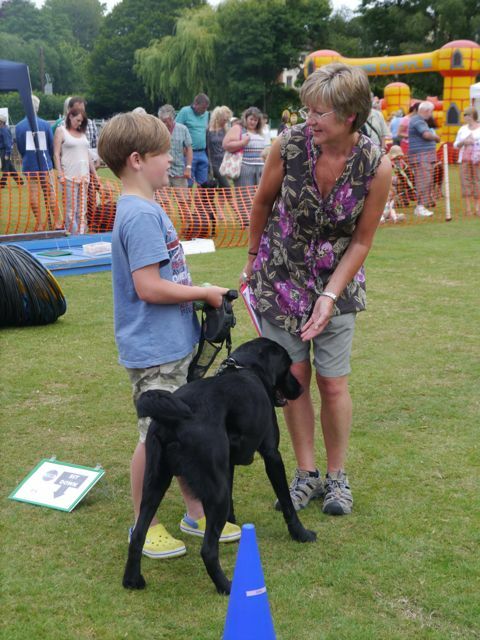 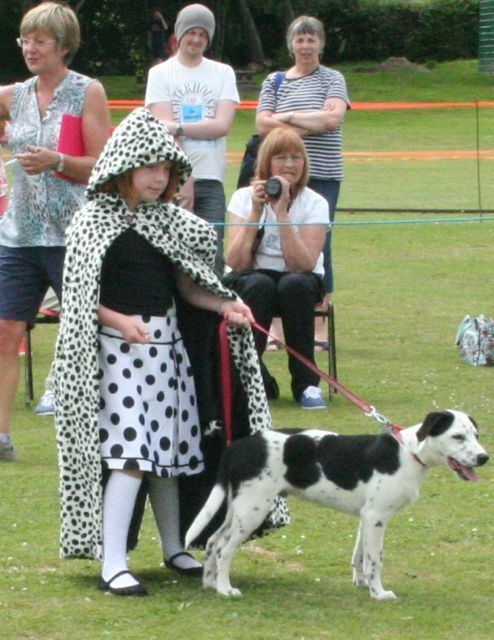 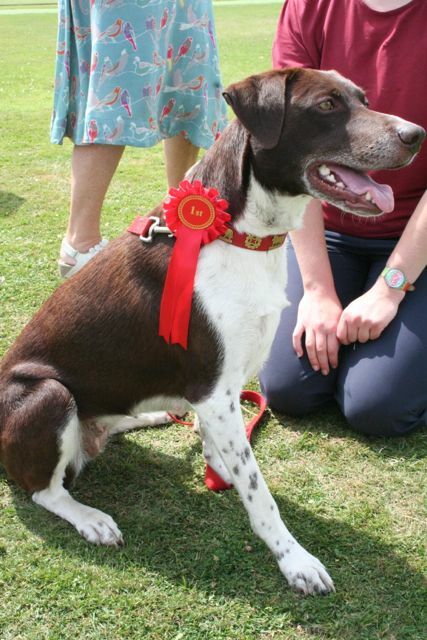 Throughout the afternoon were performances from Appalachian and Morris dancers, and demonstrations of country skills; free steam train rides and all kinds of stalls, sideshows and competitions – including a family fun dog show and, new this year, a dog scurry. 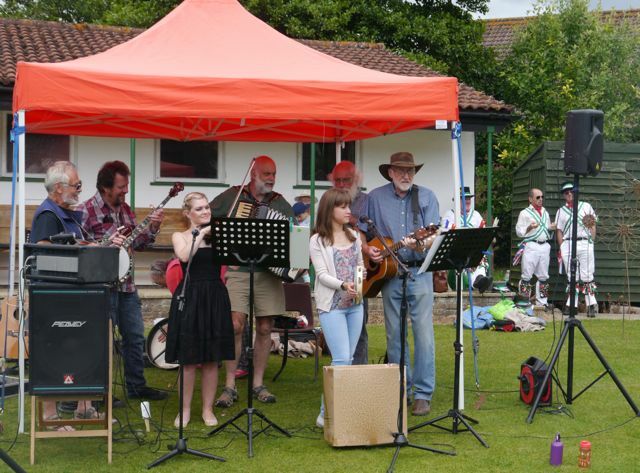 Refreshments included a barbecue, cream teas, cider, ice cream, and beer at the cricket club pavilion bar. 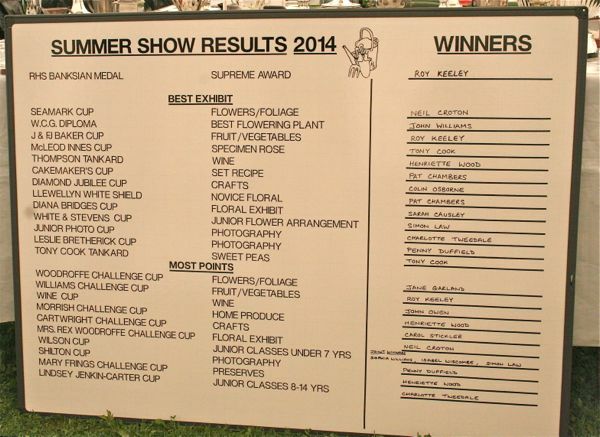 Download the Summer Show Schedule 2014 here. 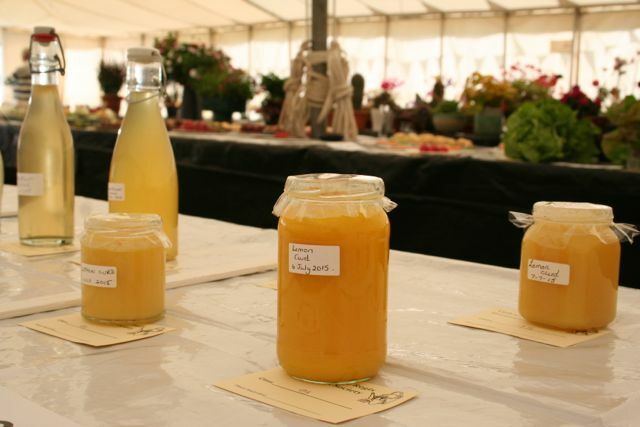 Spot the new show classes including bee-themed honey and mead; also the bee theme in the Junior Section – a BEE POMPOM was one of those. 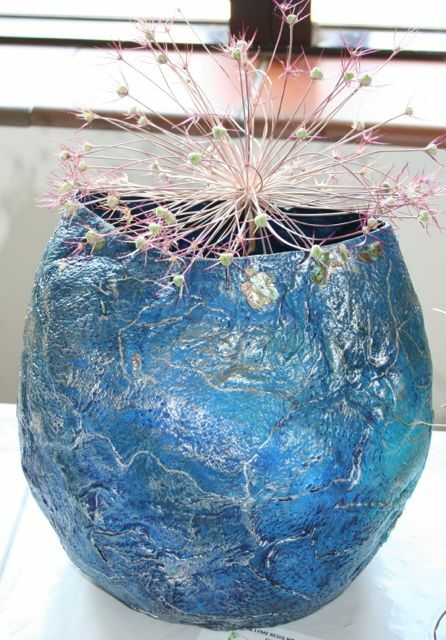 See how to make it here. 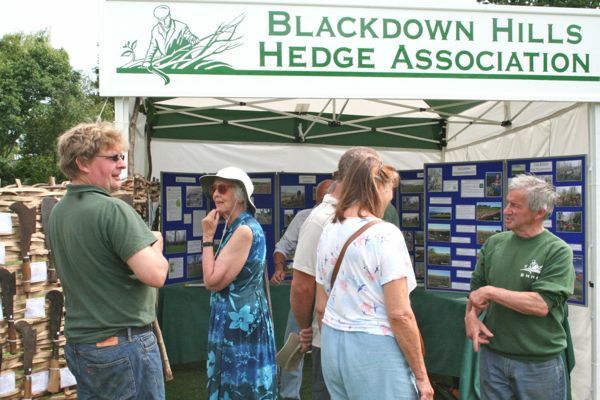 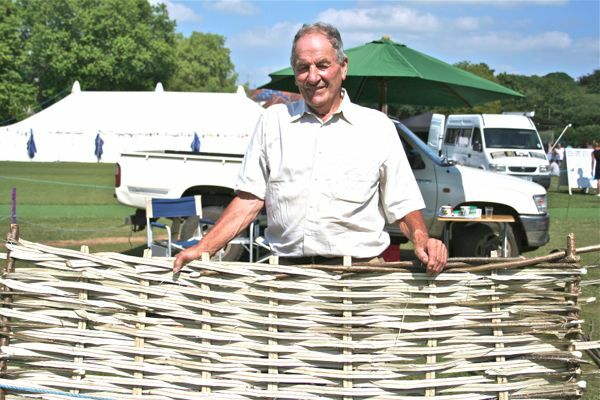 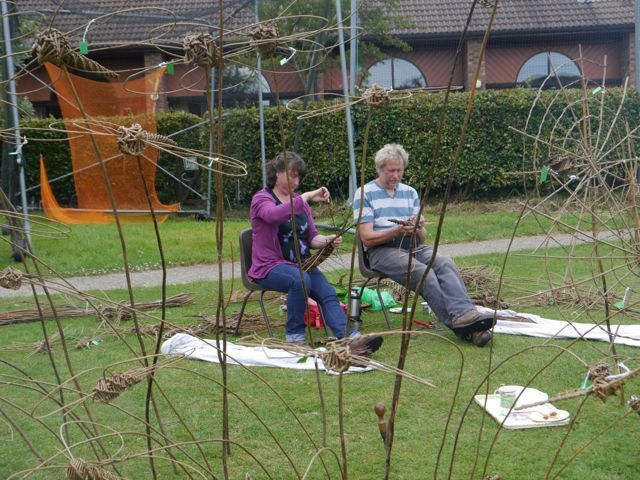 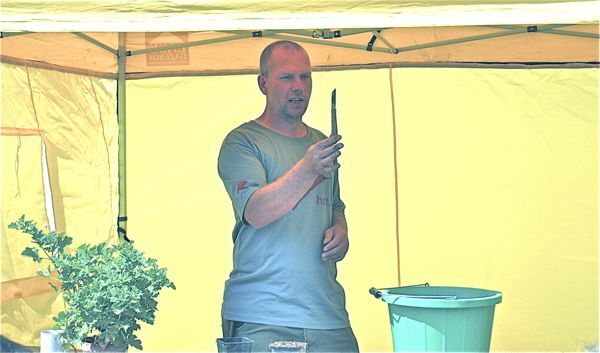 Blackdown Hills Hedge Association – demonstrated hedge-laying skills and equipment. 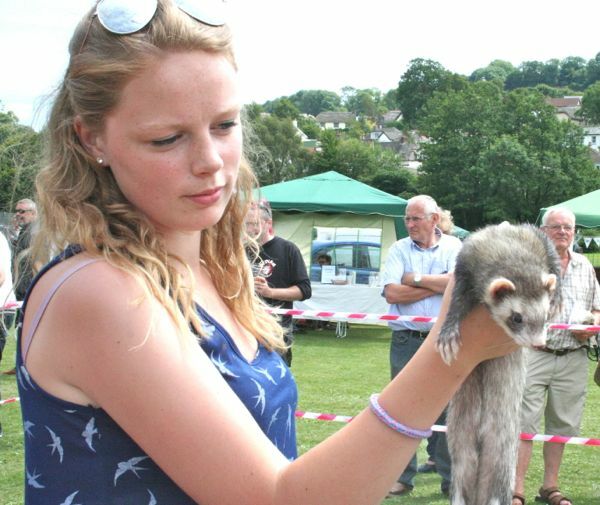 Uplyme Church ran ‘Hook the Duck’ and sponge throwing. 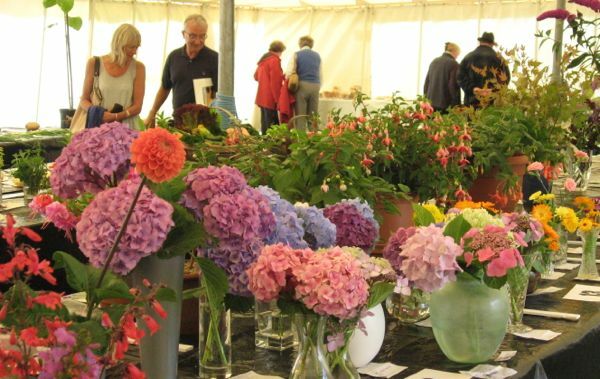 And the Horticultural Society ran a raffle, generously supported with prizes from local businesses such as Hix Oyster and Fish House, Groves Garden Centre, Alexandra Hotel, MacSorsons Fishmongers, Pecorama, Seaton Tramway and many others. 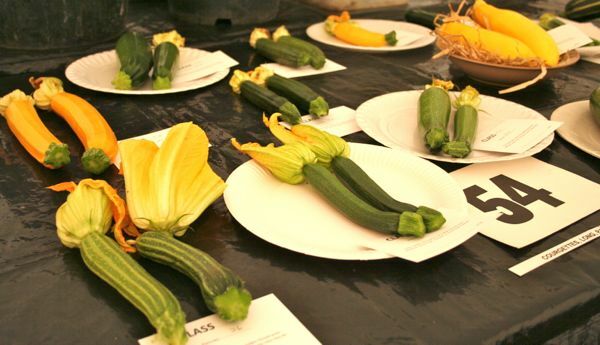 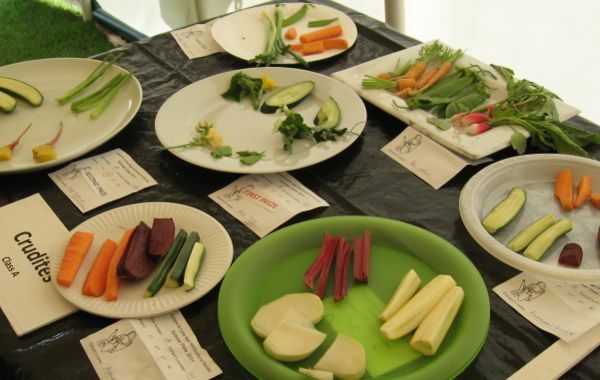 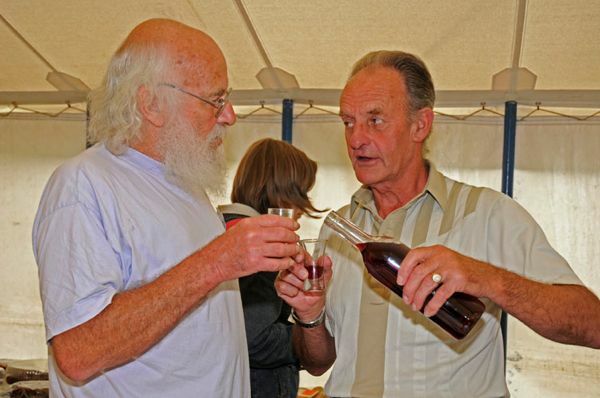 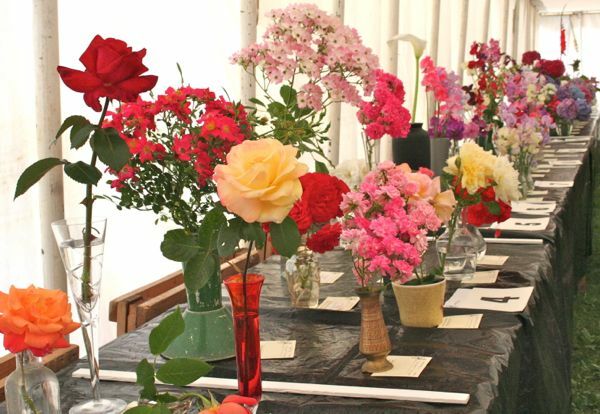 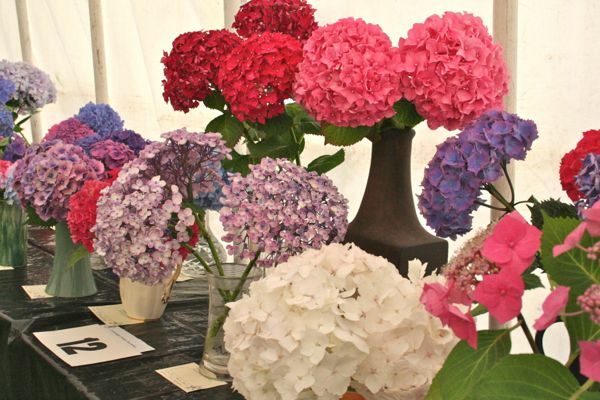 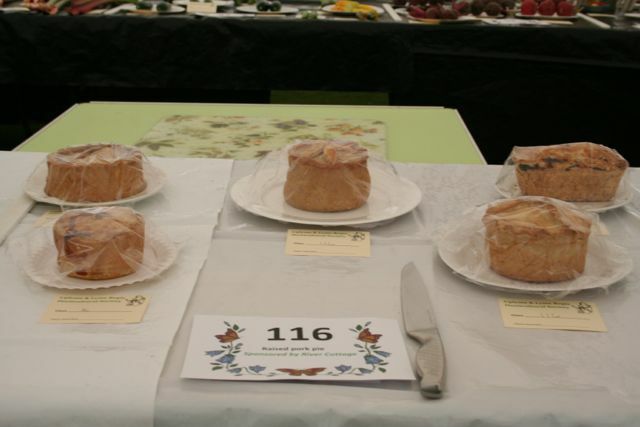 Heatwave weather on the Horticultural Society’s 84th show day (and for a week or two beforehand) meant that the standard of entries in the horticultural section was very high. 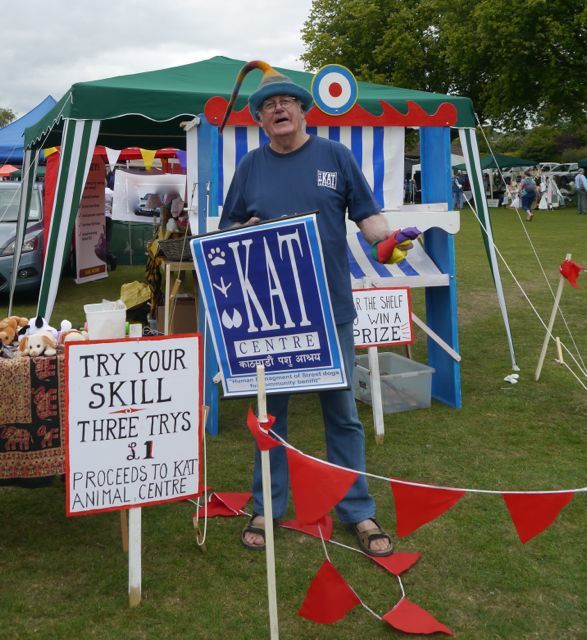 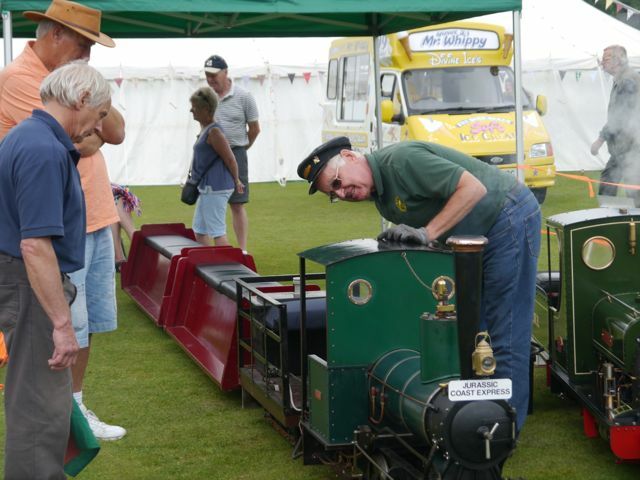 More than a thousand visitors enjoyed a perfect English summer afternoon admiring the 820 exhibits and enjoying the country music, displays, stalls and sideshows. 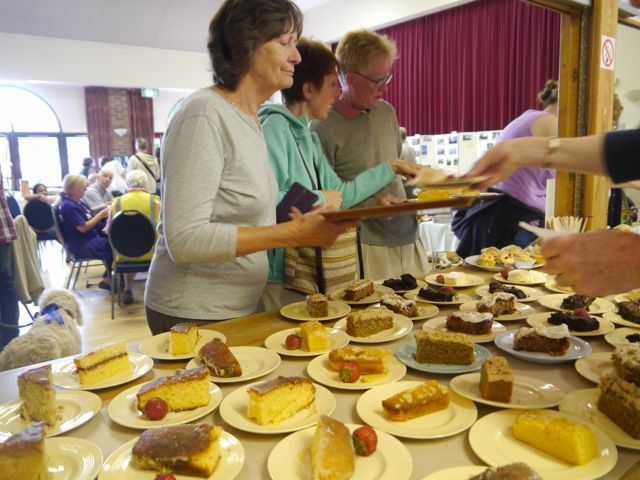 And perfect English refreshments were available in the village hall from Pam Corbin and her team of 15 helpers. 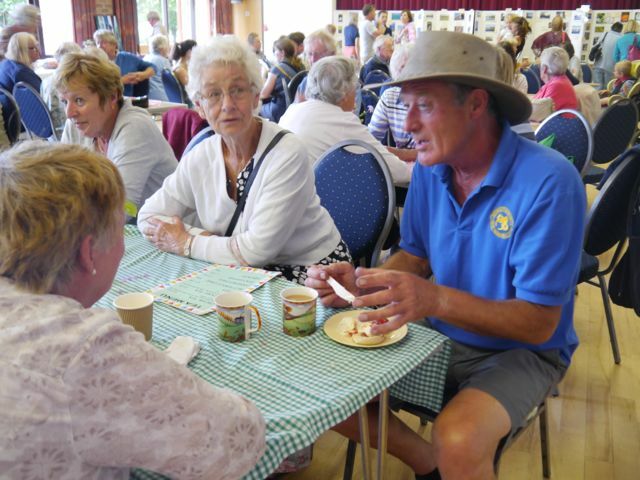 They sold cream teas, cake or sandwiches, accompanied by tea or coffee, to around 650 customers. 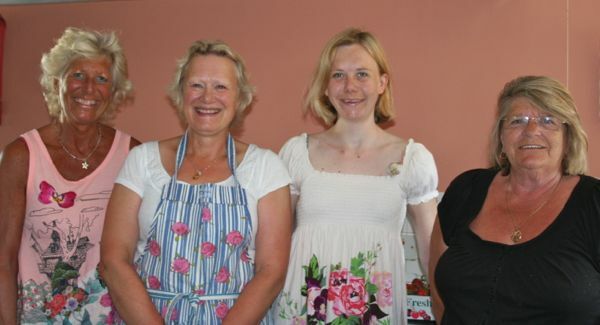 Out on the field, the Mary Jane Food Truck (pictured above) with their Caribbean menu served 150 hot lunches of jerk chicken or curry. 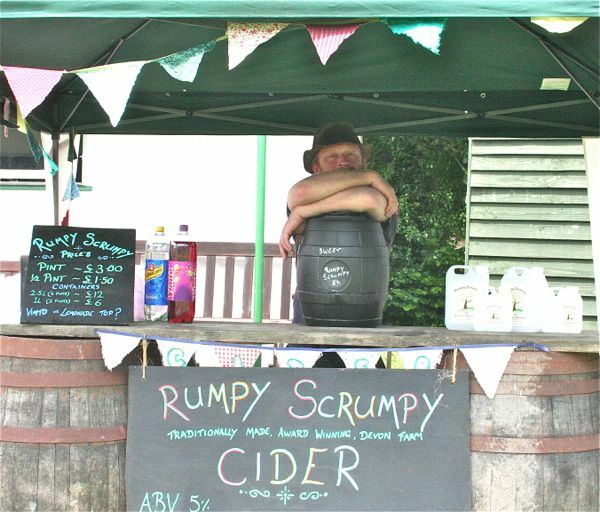 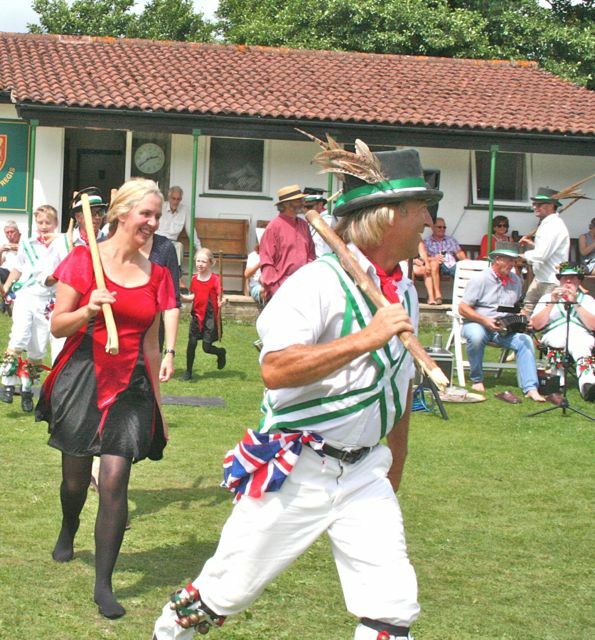 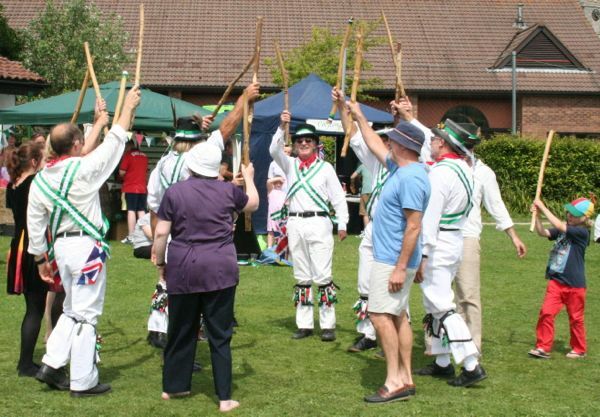 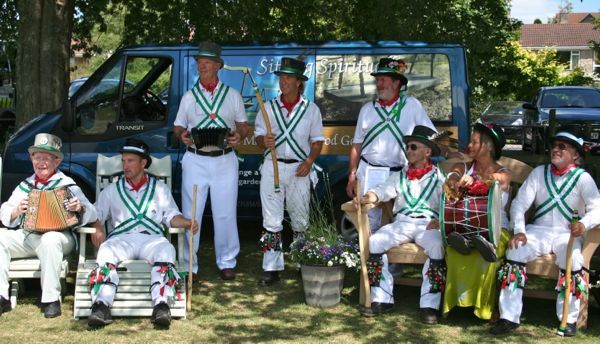 Mighty Hop’s beer tent, Emma Stapleforth’s cider counter and Pam’s elderflower cordial stand provided enough cold drinks to slake everyone’s thirst – even the Morris Men’s. 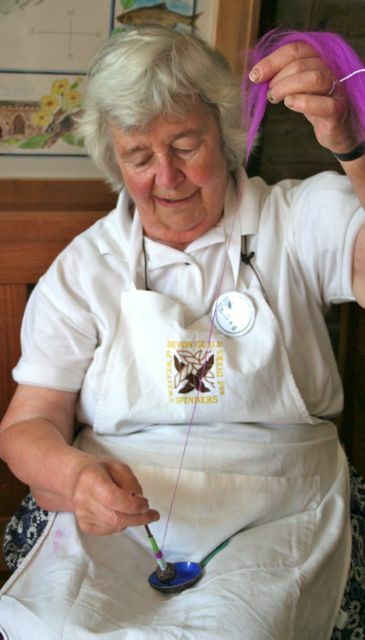 What’s so special about Appalachian dancing when we have rosettes? 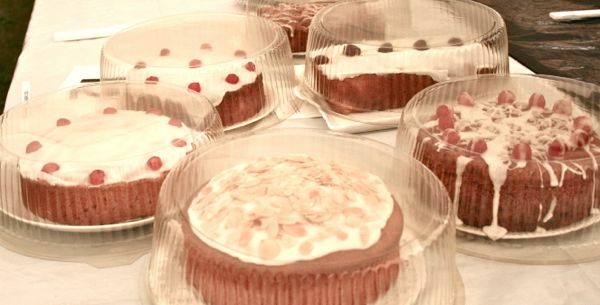 Only a Second-in-Class for my ‘most appealing eyes’? 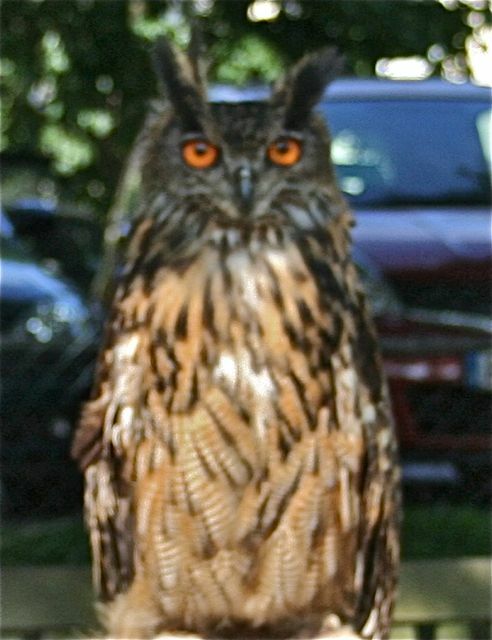 Shame on you!